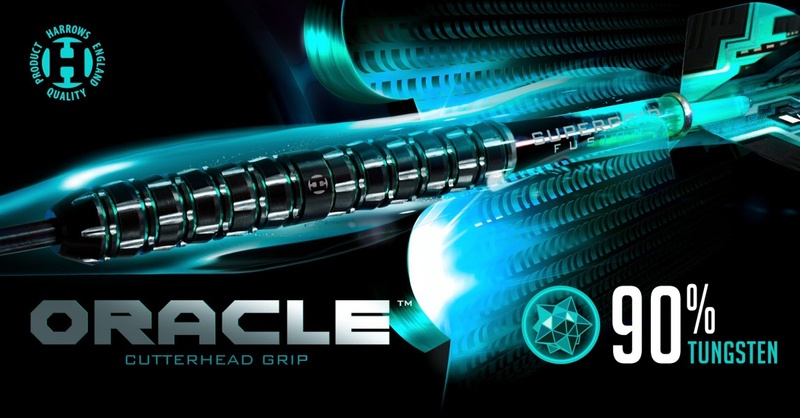 Through a complex fusion of intricate milling and expert machining, Oracle darts have been created. The 90% tungsten parallel dart is a flawless display of the machining capabilities we have here at Harrows. 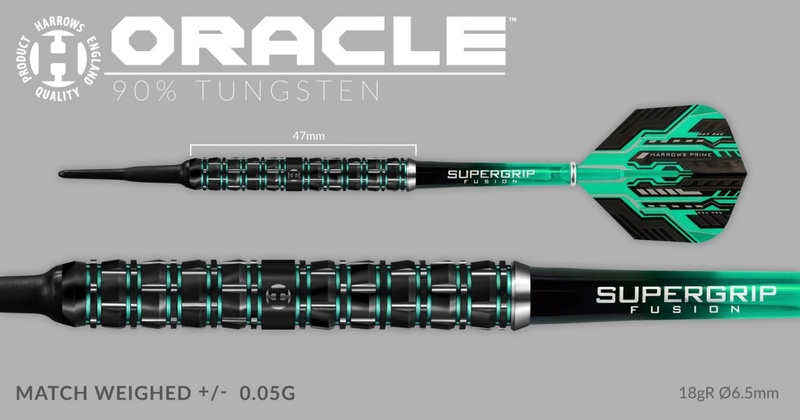 Divided into eleven symmetrical segments, this dart boasts unrivalled control as a result of its cutter head grip. 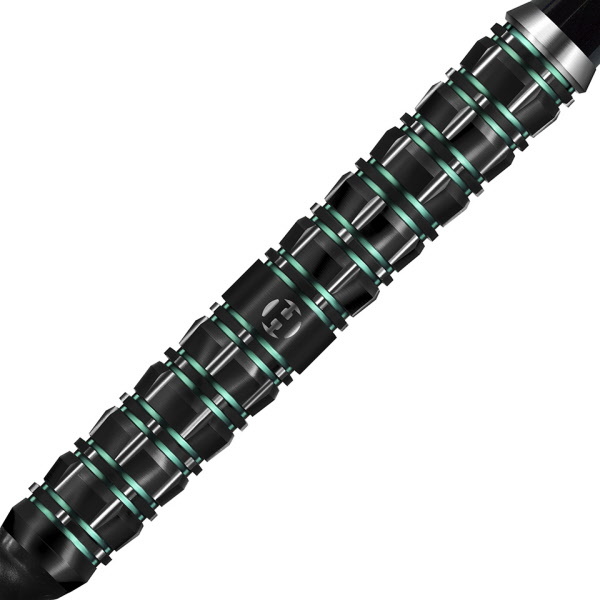 The dart is initially turned using our new sophisticated CNC machinery, coated in black titanium nitride and given a second, vivid, jade metallic coating. It is then carefully milled to reveal the final stunning 3 colour contrast, completing the look of this truly outstanding dart. 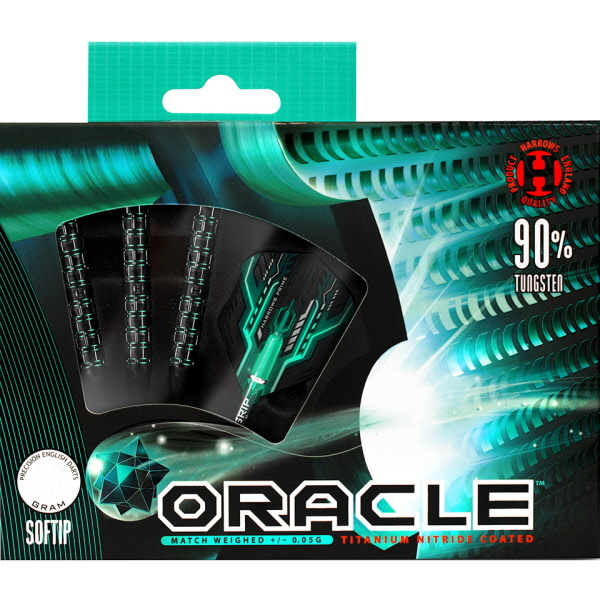 Oracle darts are supplied with Black/Jade Midi Supergrip Fusion shafts, new Prime flights and spare laser engraved points (steeltip only) and are match weighed to +/- 0.05 grams. 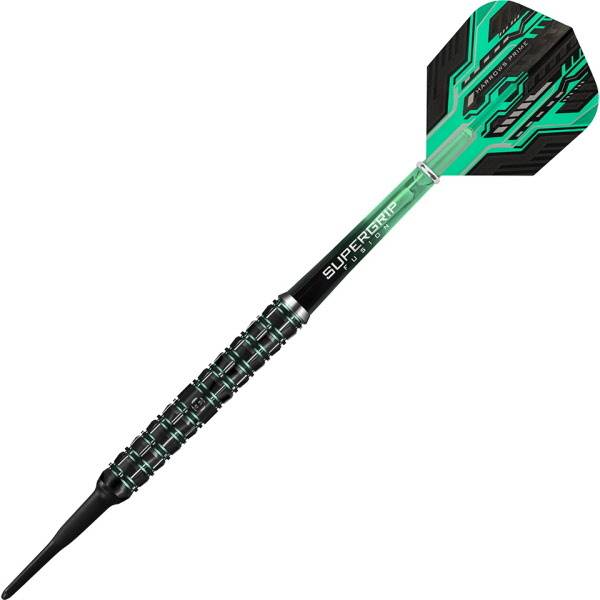 Steeltip darts are available in 22gR, 23gR, 24gR, and 26gR. Softip is available in 18g.